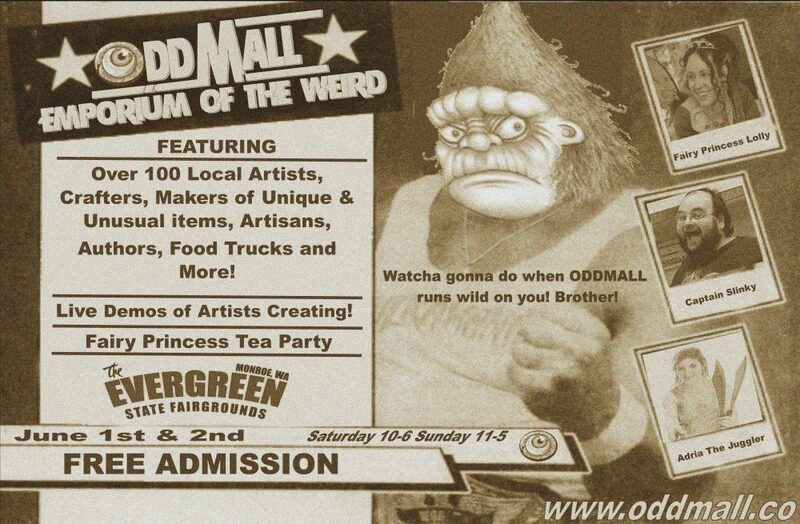 On June 10, 2017 – The vendors of Oddmall take over Nebraska St. as part of the Georgetown Carnival. This is the 4th year we have been asked to participate in this event and we can’t wait! The city of Georgetown (Between Seattle and Tukwilla) hosts over 12,000 people who wander the streets of Georgetown enjoying art, entertainment and so much more, including power tool races! The following vendors will be taking part in Oddmall Alley.